In order to generate the most income for a villa, we have developed a marketing strategy in which we only focus on the most up to date online possibilities for villa rental. We do not believe in “the old fashioned way” of renting out your villa, via local offline agents. Nowadays tourists ask for an online and direct way to rent their villa. We focus on these channels as online booking is the main way of travelling, and will become even more important in the future. Our young marketing specialists are working 7 days a week and have a very good understanding of the dynamic online market. We believe that maintaining a personal connection with an online travel agent is very important. We therefore put a lot of effort in visiting main offices, meeting (offline & online) representatives and collaborating with the other party to create the best possible and profitable strategy. At NewLife Villas we focus on renting out holiday accommodation with an innovative approach with the aim to maximize income in an efficient way. We will take care of the bookings procedure and accountancy involved. We work with an international team based in Europe. The online travel agents that bring us the most bookings at the moment are Booking.com, Agoda, Airbnb and Expedia. Listing your villas on these websites means that you will automatically be published on many other websites, such as hotels.com, trivago.com, traveloka.com, villas.com and many more. When we notice that this is not covering your guest profile, we expand to other online travel agents if needed. staying up-to-date on the newest trends and developments. having direct connection at online travel agents in case we need assistance. We gather lots of data that enables us to set the perfect price for a certain period. We do not want to sell the villa too cheap and also do not want the villa to be empty. Offline agents is something that we know is decreasing in popularity. There is still a market for this, but the trend is that most markets book their own holidays online. Experience showed us that it is most efficient to be in the top search results on the online travel agents rather then investing a lot of time and money in other marketing tools and social meda. When it is low season, it are still the top listings that are still being booked. We also know that most tourists bookings are made through familiair websites, rather then booking directly through your own website. We try to keep the balance between conversion, rates and reviews. These three factors have to be in balance to stay on a good position in the search results. We have software that assists us to adjust prices automatically at any time. Where many holiday rentals set a base price and seasonal rates, our pricing strategy is much more complex. A combination of data analysis, human interaction and complex algorithm we try to sell every night for the best possible price with the goal the get the highest monthly targets. 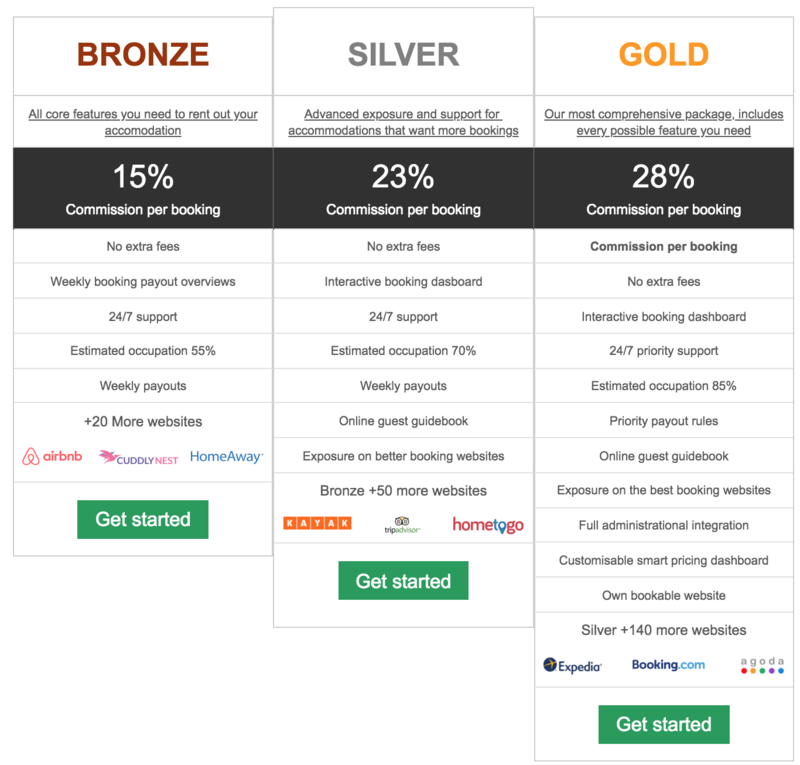 This is called flexible pricing system which is already very populair and well know with airlines all over the world. Rather than having the villa empty, we prefer to sell the villa for a last minute rate. The direct effect is that the it will add profit to the monthly rate, but will decrease the average price. The indirect effect is that it will gain an outstanding review, higher review rate and will boost your position in the search results and bust the general rental price. The reviews are probably even more important than the description. Guests tend to look at pictures, price and reviews. This is for them the most reliable source to get information about the property. When we receive a negative review, this will be forwarded to you (if the villa is not under the management of Rumah Dunia) and it will be your task to make sure we will not get any negative review anymore regarding that topic. The shorter the response time is, the better it is for the villas position in the search results. Someone with a response time of for example 2 days, will never show up in the search result for someone who wants to make a last minute booking. We strive to be able to answer inquiries 24/7 and therefore, we have people working in different timezones. There is nothing more annoying as a double booking. It will have a negative impact on the guest experience and the online travel agent can punish the property for this in sense of lowering position in the search results, having the property pay for relocation costs and in some cases even a fine. For this reason we make sure that our calendars are up to date by connecting all online travel agents we use an advanced channel manager to controle all the income bookings. This allows us to take instant bookings. The guest can be sure that the property they book is available. We make sure that the pictures are up to date and are a reflection of reality. We do not want guests to have a wrong impression and that we fail to meet their expectations. Some platforms such as Airbnb allows us to cross-list the same property on several profiles and will give more exposure for this property. Airbnb filters the top search results and only allows the same host to show up limited times in the top search results. By operating under different profiles, we have some listings, listed on different profiles so there will be more exposure than hosts with one profile. Airbnb is personalized and tries to find the perfect match between guest and host. We have profiles with different characteristics (gender, nationality, age, etc.). Certain guests with specific characteristics can do the same search on Airbnb, but find different listings.